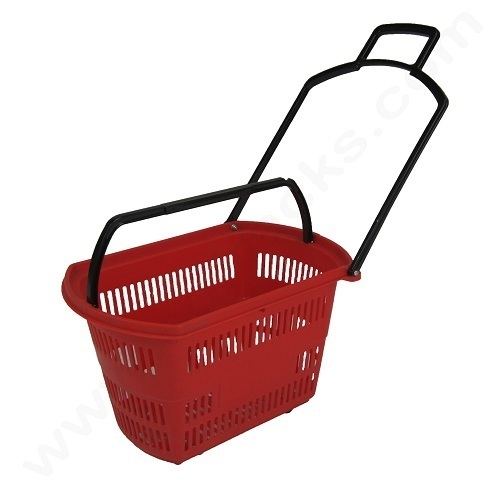 We are an established company for offering Shopping Trolley Basket to the clients. Offered range is very light weight portable basket easy to carry. This Shopping Trolley Basket is extensively used on or in connection with food handling and includes any equipment. Shopping Trolley Basket is appreciated by large number of clients due to high quality and accurate output. Sharp Display Fixtures is basically the sole proprietorship company which was emerged in the year 2011 at Chennai in Tamil Nadu, India. We are the renowned company which is engaged in the manufacturing, supplying and wholesaling Racks & Our products are Supermarket racks, Fruits and Vegetables, Garment, Electronics, Pharmacy,Sports, Foot wears, Library racks, Supermarket Accessories and many more. We believe in the quality of the products and that’s why we have been controlling it from the time of our inception. High grade material is used in their manufacturing that we sourced from the authentic and certified vendors of the industry. Also, we keep the requirements and demands of the clients in our mind while developing the range which satisfies them most. Further, we manufacture these products as per the various specifications given by the clients. As quality is the most important thing for us that’s why we follow the industrial quality norms and parameters while testing these products at various levels.